First, your chosen avatar needs to be at or below 15kb. 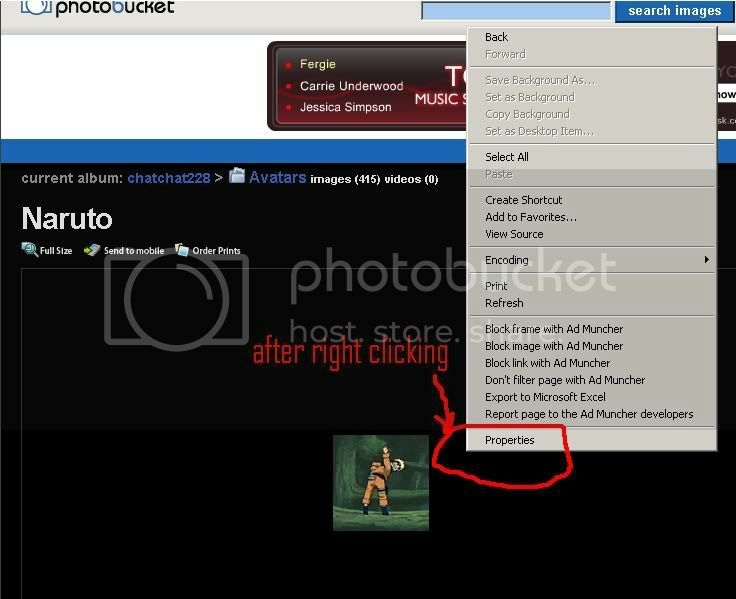 Then go to photobucket, and upload it like so. You may have to create an account, but if you already do, then just do the following. Yeah, except your idea could theoretically leech the bandwith off of someone's avatar, unless SS hosts the picture files on their own. 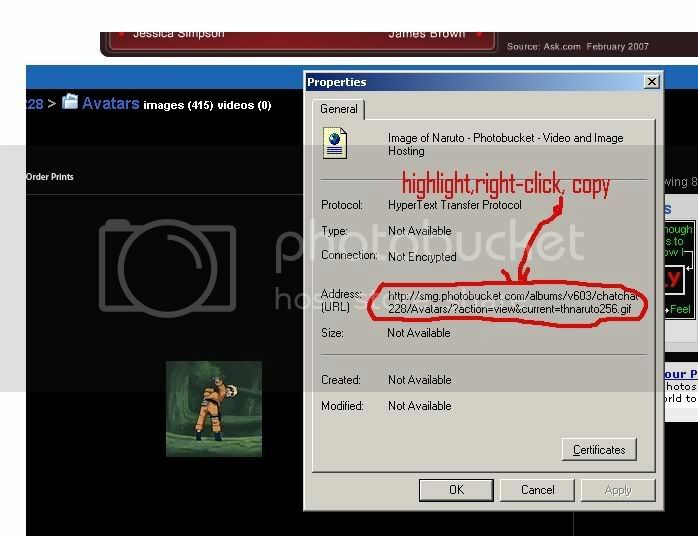 Besides, I'd say it's just good practice anyway, to upload your own copy to photobucket / imageshack, just so you can use it all you want, with your own bandwith. What? Whatever, im just giving instructions so that some people understand. 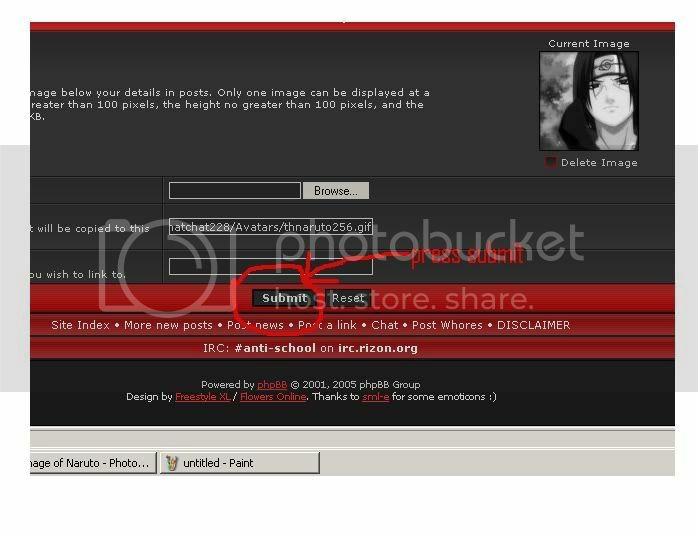 R00t Wrote: Yeah, except your idea could theoretically leech the bandwith off of someone's avatar, unless SS hosts the picture files on their own. 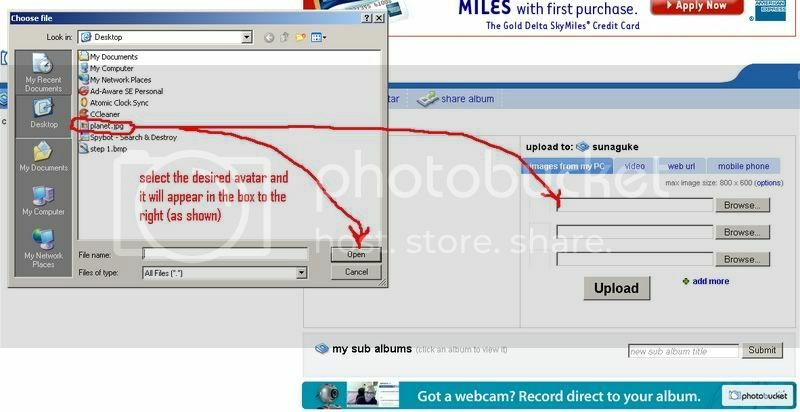 There are three options: upload from computer, upload from internet, and link. Look at the three text boxes and their labels. I did directions for the off the internet selection. Good work Dark avenger person its about time someone done this. Yah, i just used naruto as an example, as you may see. Haha. What, 20 KB? Big deal..
*Only people who have read JUrassic Park will get what that is. do you really think you can kill a overlord that even death can't kill? THERE IS NO HOPE FOR U.
i will cast this galaxy into darkness. u could have stoped me from geting the cube but now it is infused into my armor. I know that, Im just making it easier for noobs to comprend. no i mean how do you actualy put one on your name. bcuz i alredy have one one my computer i just dont no kow to get it on to my account. c i alredy have one. Did you read the instructions in the first post? illl edit it so that particular step that apocolypto is talking about is more understnadable. I'll get under way, right away. Update: Added two extra steps, so it may be a little easier. Just let me know if you still don't understand. Pyro Wrote: First, your chosen avatar needs to be at or below 15kb. They are there. If you don't comprend THAT, then I don't know how to help that. if you make it smaller, it'll probably work. 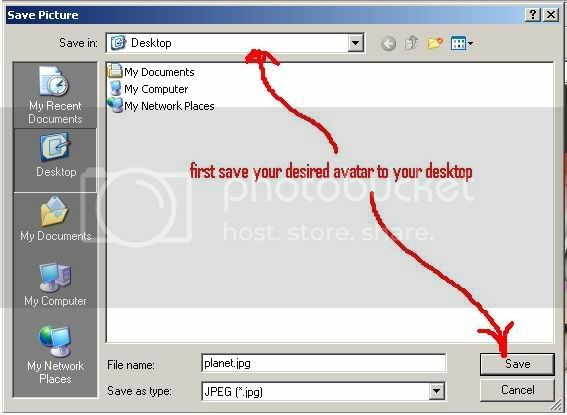 Thanks for the screen shots on how to put a pictures on avatar.. I pasted this url where you post the avatar url and wouldn't let me change my avatar.